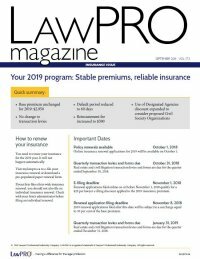 Articling students complete two rotations in the LAWPRO articling program: one in each of the Primary Professional Liability Claims Department and the Office of the General Counsel. The Articling Students will be assigned a mentor in each rotation who will co-ordinate assignments and provide assistance and feedback. LAWPRO has an immediate opening for an IT Service Desk Analyst to support its internal service desk function.